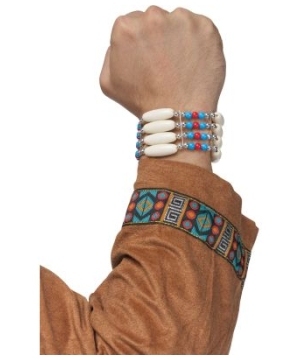 Celebrate the culture and History of Native Americans in a classic Indian Teen Costume. Indian Outfits are colorful, unique and visually appealing. Make the best of your Costume event with Traditional Indian Attire. Thanksgiving comes around every year; keep this collection of Teen Indian Costumes in mind for you next School Play. As a Teen, you may have learned about Native American Indian history in school. You were probably taught about Traditional Indian Garments but what you probably didn’t know is how stylish Indian Clothing could be. Indian Teen Costumes will expose you to the many possibilities with Native American Fashion. 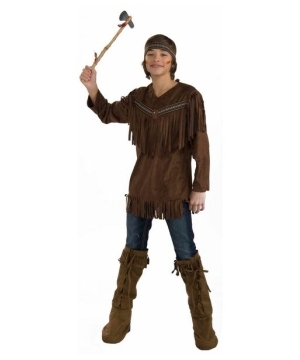 Increase your beauty with a Native American Teen Dress like the Cheeky Cherokee Teen Costume. This Indian Inspired Costume Dress is a modern interpretation of what a Tribal Dress may look like in the future; these dresses are not necessarily traditional samples of Native Clothing but they surely fit the Indian Costume Theme. Similar Dresses like the Indian Tribal Beauty Teen Costume and the Tribal Spirit Tween Outfit have become highly popular options among Teenage Girls. Adolescent Boys can search for their inner warrior in a Native American Brave Teen Indian Costume. This Native Soldier Uniform will have you ready for battle as you accessorize with an Indian Bow and Arrow Accessory Set. Indian Teen Costumes increase in popularity around the Thanksgiving Holiday. Get ready to look your best at School events centered on this humbling holiday. Thanksgiving re-enactments and recitals are great opportunities to shine in you favorite Indian Teen Costume. 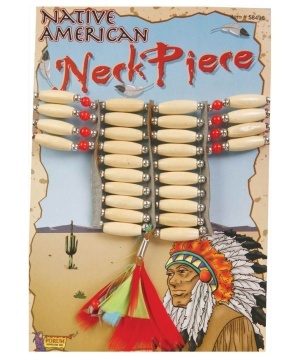 If you wish to enhance your Costume, visit the Accessories department and browse through the Native Indian Costume Accessory category. You will find plenty of items that can make your Costume look like no other. From make up to jewelry to hand held toy accessories, your Outfit will be completely unique by the time you are done.